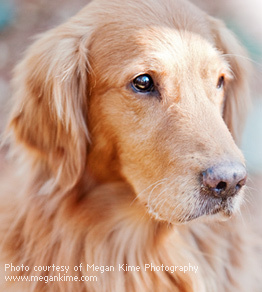 If you need to find a home for your golden, we may be able to help. Our volunteers who handle re-homing dogs will discuss your situation with you. Our dogs live in a foster home until we find the right adopter. Once your golden retriever is in our program, we take great care to provide your golden with a high quality diet, socialization, exercise, any beginning or continuing training that may be necessary, as well as any additional medical care and a microchip. Our dogs are treated with love, affection and encouragement. Great care is given to finding a perfect match between your dog's personality and the lifestyle of the adopting family. It is our goal to find permanent, loving homes for each of our foster dogs. The first step to rehome your dog to us is to complete and submit our Rehome Your Dog form (click on the REHOME YOUR DOG icon below to fill out and submit the form). When we have received your form and photo, one of our representatives will contact you. If you would like to re-home your dog yourself, we can put a picture, description, and contact information on our website and interested adopters can contact you directly about your dogs. These dogs do not need to be golden retrievers. We provide listings for referral dogs as a service to the community, but we do not screen dogs to determine their suitability for adoption nor do we screen adopters. We make no representations regarding the accuracy of the information provided by the owners and assume no responsibility for the actual condition or behavior of the dogs.